Difficult personalities, conflict, technology issues, demanding clients, pressure from competitors and more threaten our security at work. But those who love God have the One who is all-powerful in their court. 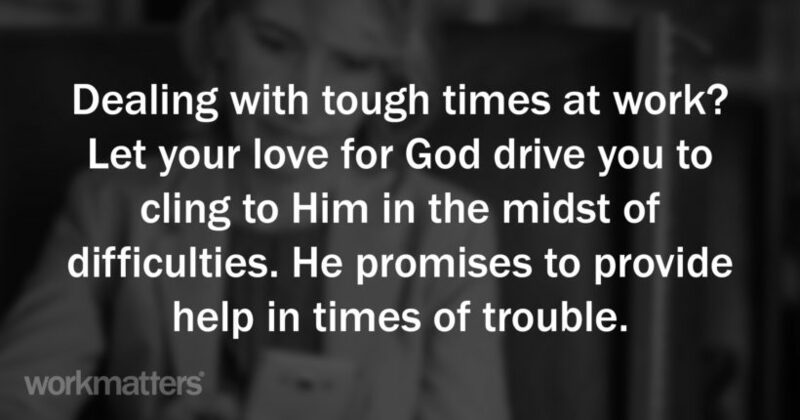 Call on Him for help when you are overwhelmed by the difficulties you are facing. He who is faithful will provide you with answers, resources and help – as well as peace – to rise above.